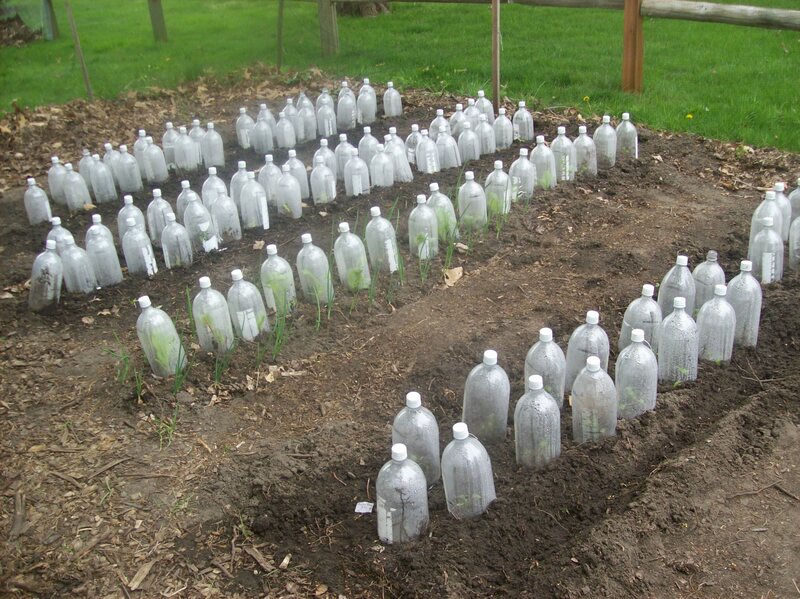 You are currently browsing the tag archive for the ‘transplanting seedlings to garden’ tag. You all may think this subject a little premature, given that the last frost date is still a full month away in my Zone 5 climate. But I can’t resist sharing, as becoming a full-fledged vegetable gardener in my 54th year of life has been one of the richest learning adventures I’ve ever faced. Honestly, it ranks up there with college. Why? Because the fate of living, growing organisms in their own little ecosystem rests in my hands. Rain was forecasted yesterday morning, but I had 32 cells of peas on my sun porch still needing a place in my garden. And before the rain made it’s appearance, I was outside just after 8 a.m., bundled up in my fleece Tigger pullover and my Mickey Mouse hoodie, my hands protected in work gloves from the chilly air’s bite, furiously punching the dirt with my hand trowel, placing the peas in the holes I’d formed and covering their peat pots with a little hand-held hoe someone gave me years ago. Sleet began falling, preceding what would become a cold rain, and I had to laugh at myself. It was official. I had become a gardening lunatic. What was my motivation for my crazy compulsion? 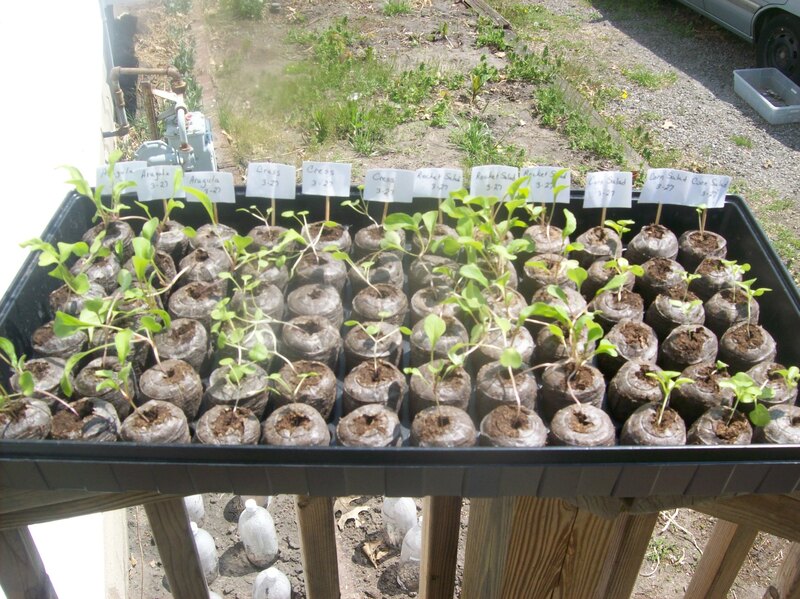 Apart from the fact that the peas in these cells had reached a growth of five inches and their tenacious roots were exploding in all directions through the peat pots, my drive was fueled by the need for the plastic flat and the space it took on my enclosed sun porch. I wanted it so that I get my muskmelon and broccoli started. Minutes later, warming up inside with a hot cup of chai as I watched the sleet turn into rain and darken the garden soil outside, I reflected on the many gardening truths that have overtaken my mind most of these days. And it occurred to me that I’d better get them down now, while they are fresh in my mind and not supplanted by the thrill of burgeoning vegetable growth later. (1) Everything you need to know to grow a vegetable garden you can find on the Internet. You do not need a teacher. You do not need a gardening class. You do not need books. All you need is access to a computer and the ability to search for information. I google my garden questions all of the time: how do you prepare a garden bed, how do you test soil, how do you lower soil pH, how do you start peas, when do you start peas, what can you grow in containers, and so forth. I could go on ad nauseum. (2) Soil is your garden’s foundation. Just as you can not build a house without first giving it a substructure, so too you must pay attention to the soil where your vegetables will take root and grow. The structure of the soil — based on its physical and chemical properties — must be considered and perhaps altered, because it will affect its water-holding capacity, as well as its ability to drain and encourage root development. The soil’s composition — the percentages of inorganic sand, silt and clay to humus (decaying dead organic material) and living microorganisms — also all work together to support, sustain and nurture the vegetables, from seed to seedling to harvest-bearing adult plant. Additionally, there is the basic chemistry of the soil’s pH, which will affect the solubility of certain nutrients in the soil and control their availability to the vegetables growing there. Soil, in my opinion, is a lot of chemistry and physics. (3) From day to day, nature sets the gardener’s agenda. You can not harness the weather. The temperature, the sun’s path in the sky, rain, wind, sleet, snow and frost are all outside our control. Creation’s rhythms are our guiding light. If it’s to be sunny one day, that may be the day chosen for soil preparation. 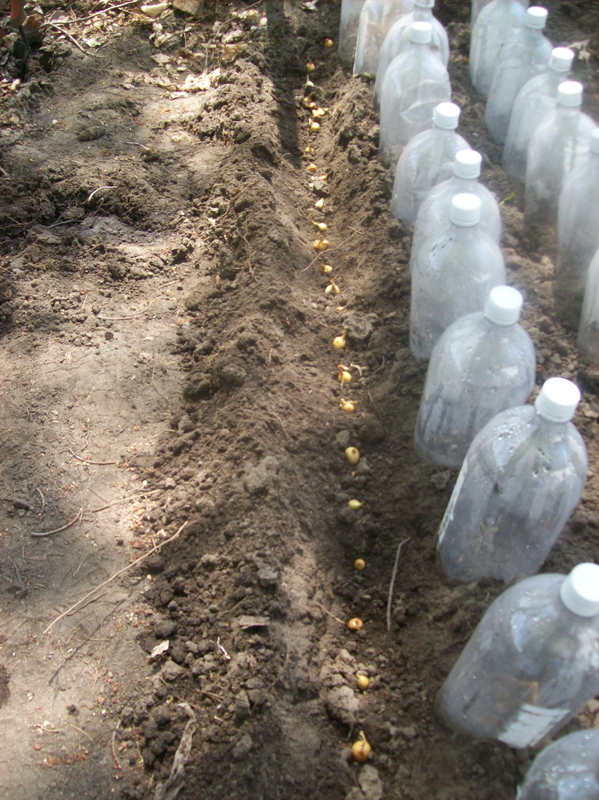 If rain is expected tomorrow, then today we may plant or transplant, hoping to glean the propagating advantage moisture will bring. (4) There certainly is a lift of spirit that comes when witnessing the merry sprouting of seedlings while snow still covers the ground outside. I invested a fair amount of money into empty flats this year, and I very much believe the peat pots and potting mix have been extremely beneficial in speeding up the germination process, although I reserve judgment still on the plastic flats themselves. I have had nearly zero seed failure by making use of these products, and I’m hoping that in the end my investment will bring a more prolific harvest as well. (5) Sun porches are ingenious inventions for gardeners. We are in our first months living in this home, which was once a farmhouse but now sits among other newer homes on a somewhat heavily traveled road near a shopping district. And I am delighted that my old fashioned, unheated sun porch seems to have been designed with gardening in mind. The shelves that line the windows are just the right width for my flats, and I have been able increase my seedling capacity by stacking crates around the periphery of the porch and topping them with more flats. Those farmers knew what they were doing when they built this place. (6) And lastly, if there is any chance there may be roots in your garden, when you sit on the ground to plant your seedlings and lean over the soil to see better what you dig, keep your mouth shut. Roots are very springy, and inevitably they will throw a portion of dirt right into your face the moment you forget. And, should your mouth be found agape, it isn’t a particularly pleasant gardening experience. Here's one corner of my prolific sun porch. So far I have sprouts of a lettuce mix, spinach, a perennial flower mix, marigolds, roma tomatoes, chives, cilantro, spearmint, lavender, muskmelon, broccoli and oregano. Thankfully, the peas are finally all outside.